FREE 2014 Admission to Sea World for Texas Preschool Children (Ages 3-5)! Today there is a very exciting announcement from Sea World San Antonio. 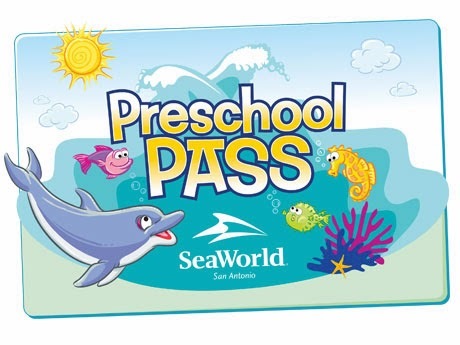 They have announced a FREE Sea World Preschool Pass for kids ages 3-5 living in Texas. Sea World wants to celebrate all the fun they have for their littlest guests so the Preschool Pass has all the benefits of a Fun Card so they can ride, climb, splash and play as often as they want until December 31, 2014! All for FREE! Hurry though because you must REGISTER online by May 31, 2014 to claim and print your eVoucher. Previous postFREE Bloomin Onion @ Outback Monday (2/3)! Next postFort Worth Museum Omni Imax Theater FREE Film Screening of JERUSALEM Feb. 13th!